For this walkthrough, we use SU Library 44R11 and Cygwin 2.881. Choose the 32 bit version of Cygwin (not 64). 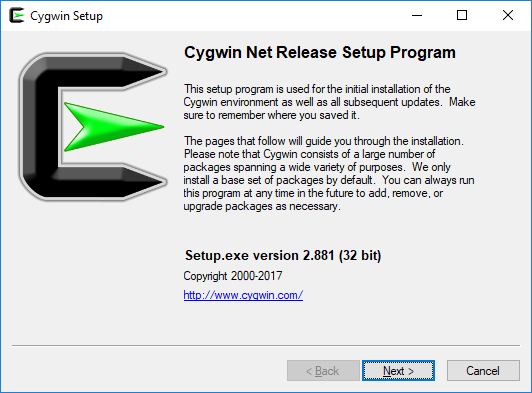 To install Cygwin, execute its installer (setup-x86.exe). This will install the Cygwin program, which when run, creates a POSIX shell window similar-looking to the Windows command window but which behaves in a more Unix-like way. 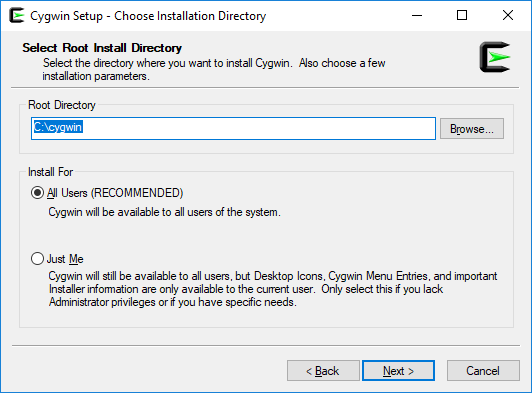 You will need to install several additional Cygwin components before your workflows can run. To get these, run the installer program (called Setup and represented by an icon with a black “C” shape enclosing a green arrow). Click Next →. Choose an installation directory and click Next →. This tutorial assumes that the default location is used. Installing Cygwin in the root of a drive is good practice since it will be detected automatically by INTViewer in this configuration. 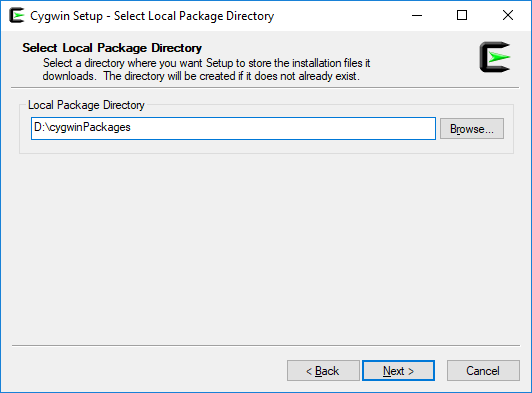 Choose a directory where Setup will store installation files. 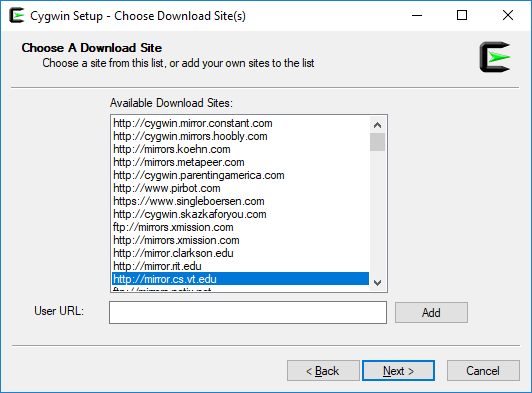 This directory can be reused for future installs so that the download doesn’t have to be repeated. Click Next →. 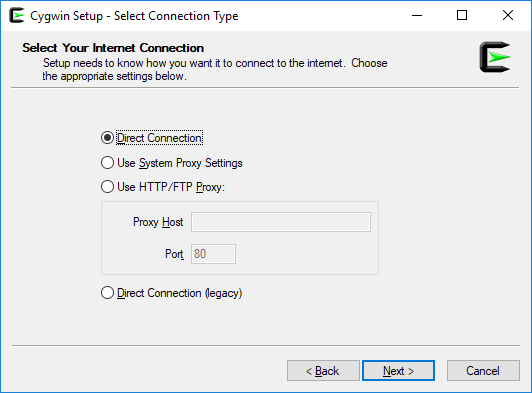 On this screen, you can choose your connection options. Click Next →. Select a download site, preferably the one closest to you. Click Next →. Now we need to select all of the packages required for compiling Seismic Unix. The Search field is a handy way to quickly find the packages. 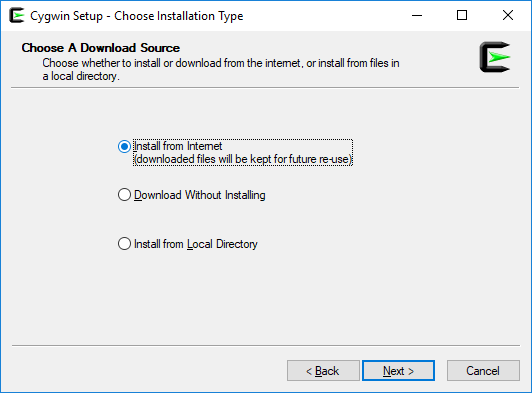 Just enter text to search, but do NOT press Enter, as this will cause the installer to move to the next page. First, select gcc-core. To select a package, click on the word Skip, until you see the desired version. Next, select both libQtOpenGL4 packages. Finally, select libX11-devel. Click Next →. 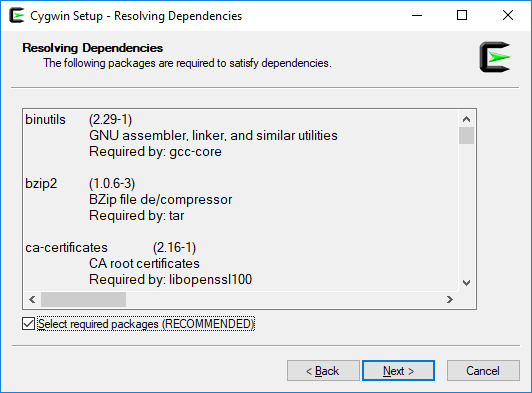 The following screen will display any dependencies required for the selected packages. Click Next →. 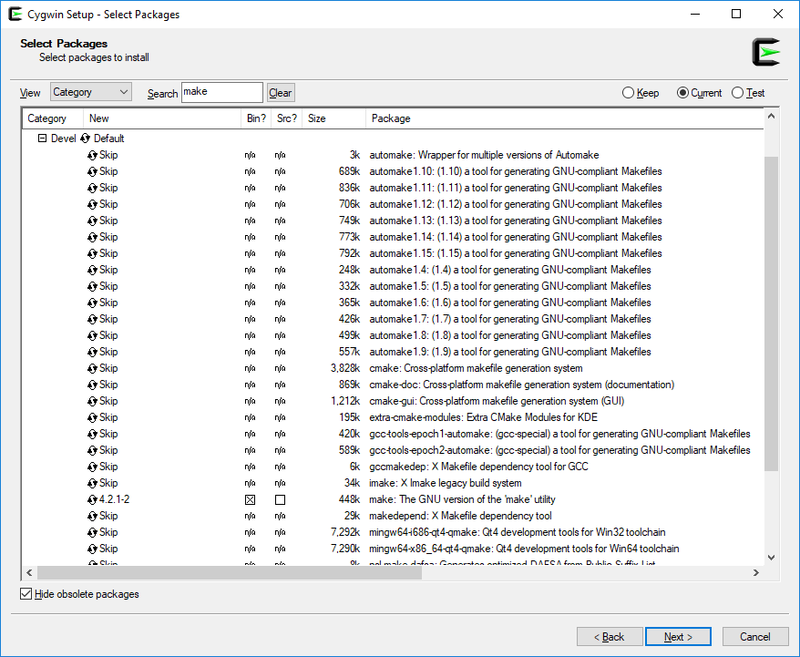 Cygwin will proceed to download and install all of the selected packages and required dependencies. 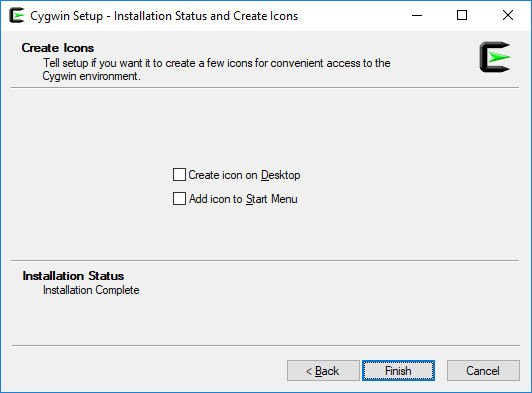 Create an icon on the desktop or start menu if desired. Click Next →. 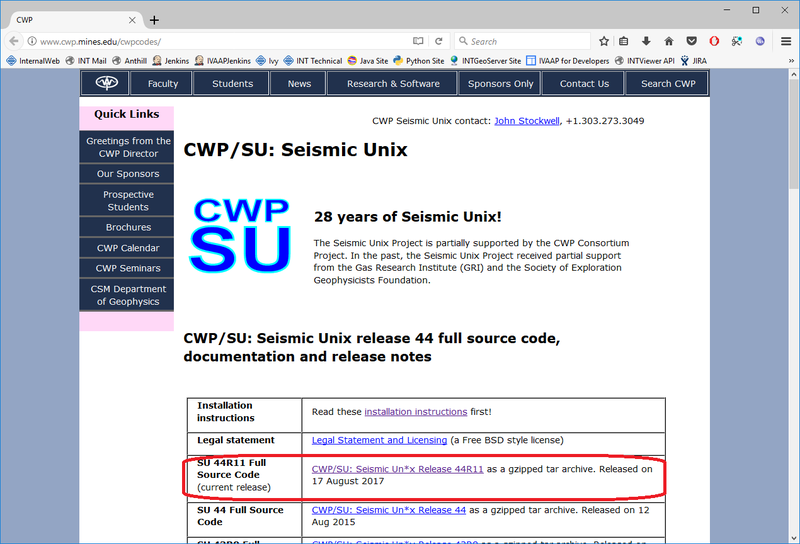 Now that Cygwin is set up, we need to compile the Seismic Unix code. 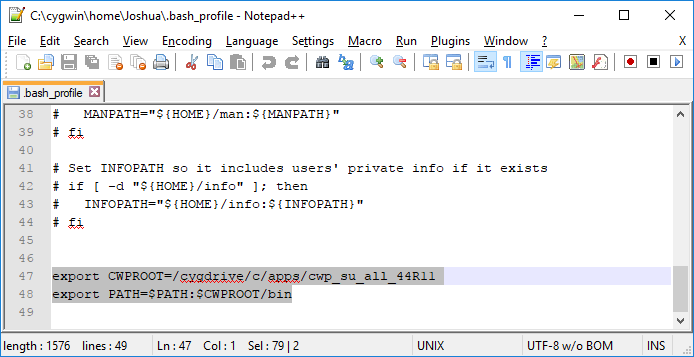 First, copy the file Makefile.config_Cygwin_32 located at C:\apps\cwp_su_all_44R11\src\configs to C:\apps\cwp_su_all_44R11\src\. 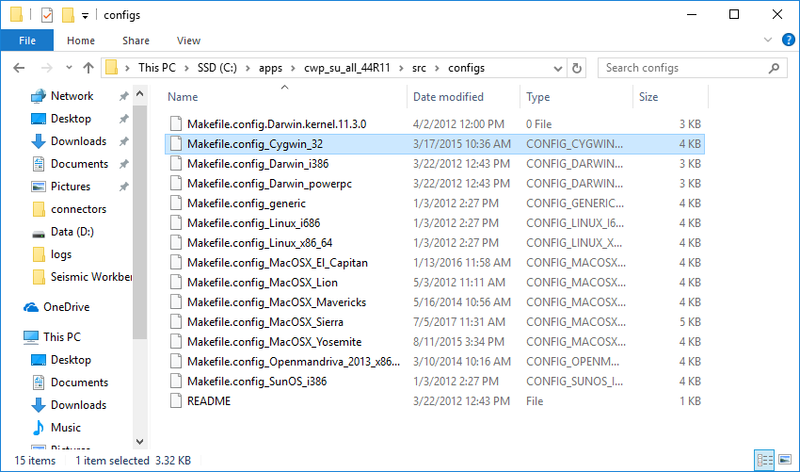 Replace Makefile.config located at C:\apps\cwp_su_all_44R11\src with the copied file. 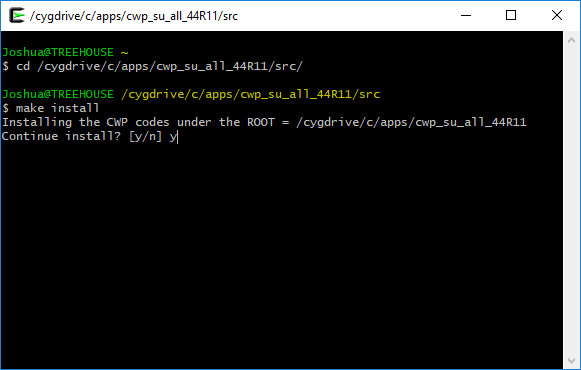 Run Cygwin, and navigate to /cygdrive/c/apps/cwp_su_all_44R11/src. Once here, enter the make install command. This will compile the standard Seismic Unix code. 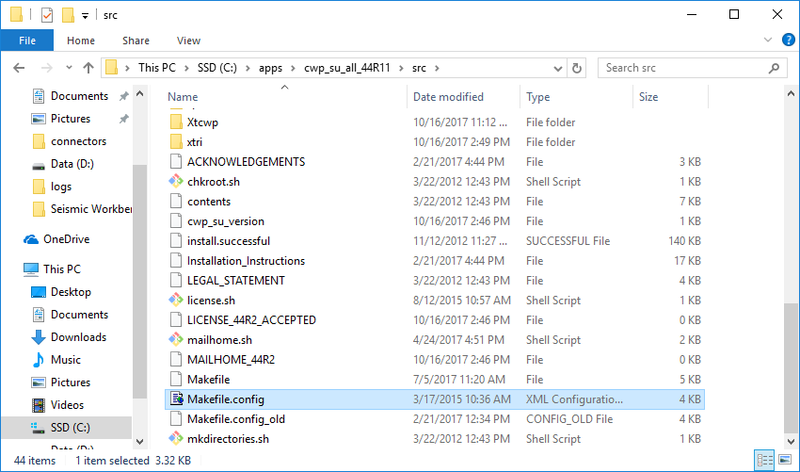 After the previous make file is finished, enter the make xtinstall command. This will compile the X-toolkit code. 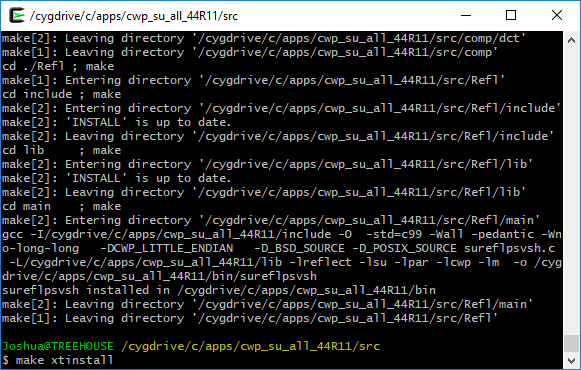 Cygwin and the SU Library are now ready to use! As a quick test, open the Cygwin command line, and enter the following command, modifying the paths to match your directory structure. A copy of the SEG-Y file should have been created if the installation was successful. For more information about INTViewer, visit the INTViewer product page, or contact us for a free trial.